These polished tips will make sure you out shine the competition. Getting rid of your stock exhaust will give your Audi a much more aggressive look and sound. The aggressive sound that this exhaust produces will give your Audi a race inspired tune. 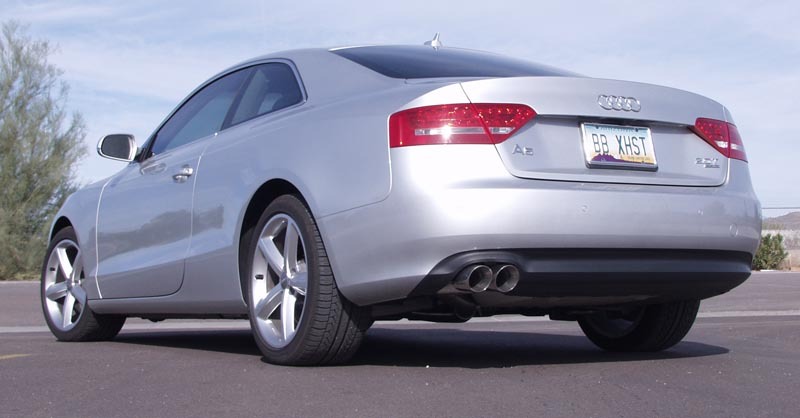 The Billy Boat Catback Exhuast is one of the best performance modifications you can make on the B8 Audi A5. By replacing the highly restrictive factory exhaust system with the less restrictive and larger diameter piping of the Billy Boat Exhaust, you are eliminating back pressure from the turbocharger, resulting in reduced turbo lag and improved acceleration. 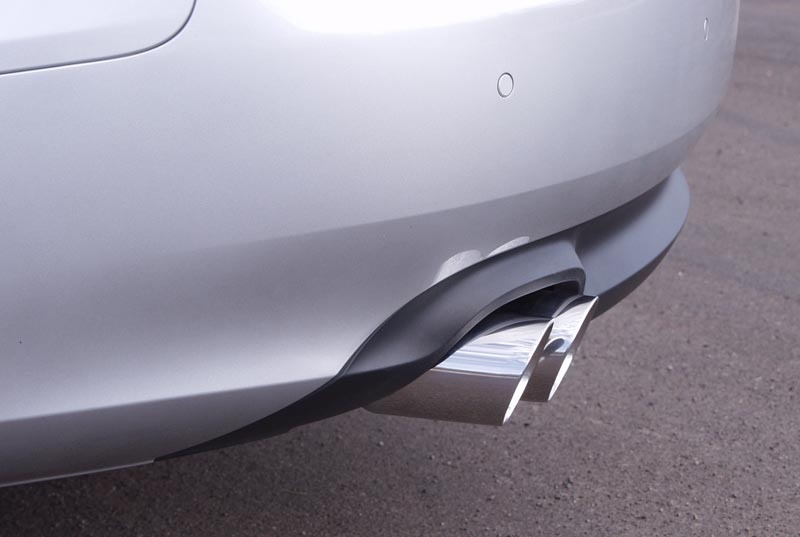 With the Billy Boat Catback Exhaust, you will see performance gains of 18hp and 20lb/ft torque. 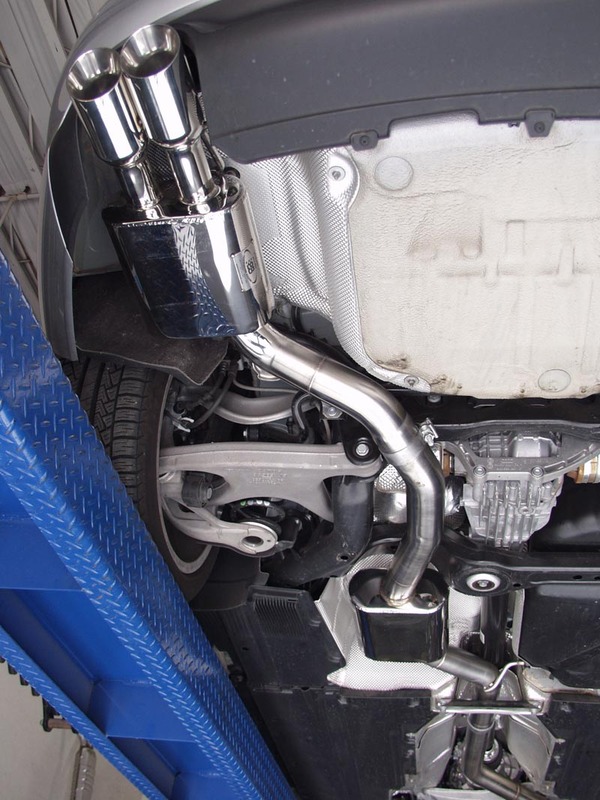 Unlike most aftermarket performance exhaust systems, the Billy Boat Catback Exhaust for B8 A5 was specially engineered to provide a sporty, more aggressive exhaust tone without having a heavy exhaust drone to help maintain driving comfort. The Billy Boat Catback Exhaust is a complete bolt-on product, so no custom welding, cutting, or fabrication is needed for installation. For an extra boost in performance, the Billy Boat Hi-Flow Catalytic Converter is available for the Audi B8 A5.